Posting up has been a bit spotty. I've been playing around with new features of my computer reborn as the more powerful Mac 10.6. Probably in over my head, the mighty Mac has been the focus of my attentions the last few days. 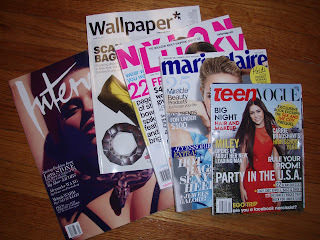 So much, the magazine pile seem to grow over night. The second batch of monthly reads failed to excite. 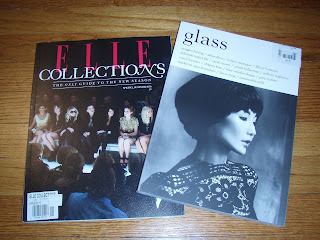 On the flipside, Elle Collections and Glass left me in awe. Please, please pick up a copy of the British Elle Collections glossy as soon as possible. The creative forces behind these pages brightened the future of fashion mags. It is a feast for the eyes. Of the eight covers of Love issue #3.....Kristen McMenamy won out. No justification needed. 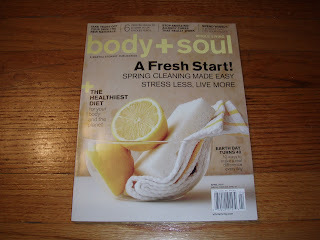 In the mood for something light, Body & Soul was a new read. I picked it up since it was a Martha Stewart publication, and there was a rad recipe for granola. 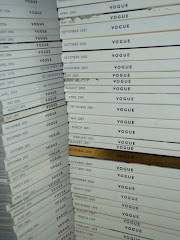 I also have been working on the vast task of indexing my magazine library. It's been so much fun, sleep has become secondary. Ideas for new post are overflowing as I revisit images and delving deep into fashion history.